Few cultural venues can seem as superficial as entertainment awards shows. But in light of the rapid exposure of widespread sexual harassment, abuse, and assault in the entertainment industry and many other sectors, this year’s Golden Globe Awards brought with it a new chapter in social activism. The legal effort is paired with the broader Times Up campaign, which also includes public relations efforts, know-your-rights tools, connections to other resources and advocates, legislative campaigns, and a push for gender parity within the entertainment industry. There’s something reassuring about such an effort that goes beyond the usual hashtags, lapel pins, and awareness campaigns. Those types of efforts are fine (sort of), but incorporating a legal defense approach as part of the Times Up campaign signals a seriousness and a potentially more sustainable movement than other past efforts that have come and gone. This is something that has teeth - or at least has the capacity to have teeth. And in doing so, this campaign has the potential to help protect, empower, and defend women who are historically disenfranchised, dismissed, and discouraged from having any voice or recourse in their own safety and well-being in the workplace and beyond. The TImes Up LDF aims to help women who otherwise wouldn’t have the means for recourse themselves - women, often women of color, who are less privileged and often work in retail, service, factory, farm, hotel, or restaurant positions. For foundations and other donors who espouse values around gender rights and racial equity, this effort provides a great example of how to step into a fight and support very tangible, actionable efforts to address a serious, systemic problem. The Pittsburgh Foundation provides another recent example of how foundations can use legal advocacy approaches to advance or defend issues that their work is adjacent to or dependent on. It’s an unusual move for a foundation and unprecedented for the Pittsburgh Foundation. But their CEO said the issue was too important to ignore, in large part because of a belief in fundamental rights of voters and the “civic fabric” that communities depend on. Whether it’s protecting basic rights and recourse for women or defending democratic infrastructure on which so many pivotal social and policy issues rest, legal advocacy and strategic litigation approaches can be an essential tool to advance and protect progress. Foundations would be wise to consider supporting these kinds of legal approaches and incorporating such tools in their support for advocacy and policy change efforts. Funders can learn more about these ideas and how to put them into action from a variety of resources developed by the TCC Group as part the Atlas Learning Project, which was a multiyear effort coordinated by the Center for Evaluation Innovation to share lessons from advocacy and policy change efforts that Atlantic Philanthropies and other funders have supported in the U.S. Whether you’re a funder, an advocate, or an evaluator, there’s something here for you. The Atlas legal advocacy resources include a brief video highlighting two high-profile examples, an in-depth guide for foundations, a brief for advocates, an evaluation guide, and a status of the courts paper authored by the Lawyers Committee for Civil Rights Under Law. The fight over so much of what foundations care about is here and it’s happening at virtually every level of government and all venues for policymaking. On racial justice, gender equality, civil rights, health care, immigration reform, workers’ rights, climate change, and so much more. And there’s no reason foundations should be sitting on the sidelines or feeling like they don’t have a role to play and a voice to raise. It’s time to get in the fight. And the clock is ticking. We are living in an era of new political realities, and we can no longer rely on conventional wisdom to navigate these uncharted waters. Time-tested approaches to advancing policy don’t always apply in today’s political climate. More than ever before, foundations are turning to each other to learn from past successes and failures to better understand how to create lasting change. As the Atlantic Philanthropies prepared to end its grantmaking in recent years, a strong interest emerged around the need for a place where funders can learn how to adopt the most effective strategies for achieving change that can stand the test of time – and elections. In partnership with the Center for Evaluation Innovation, the Atlas Learning Project was launched to synthesize and share the lessons learned by the field and ultimately push philanthropy and advocacy in bolder and more effective directions. · Effectively moving from policy change to implementation. With smart thinking, bold action and sustained focus, funders and advocates can advance progress, even in this new political climate. Please take some time to explore the collection and then share with your networks to help others learn how philanthropy can take full advantage of every strategy in our arsenal and achieve lasting change. Editor’s Note: This excerpted article, authored by and courtesy of GrantCraft, is the first in a resource series about funder advocacy collaboratives. The series draws on real-world funder experiences to share strategies about anticipating and overcoming prevalent obstacles to success. See the series content page for more background. “Funders need to collaborate more.” How many times have we heard that? The good news: Funders are collaborating more. Today, there are all kinds of learning networks, aligned funding and strategy associations, affinity groups, and other structures that are making it easier for grantmakers to collaborate. It’s an easy road to avoid. Publicly taking a stand on controversial issues can be dicey for foundation leaders, and supporting advocacy can be complex, time-intensive, and risky. Stir the varied interests, goals, and personalities of a diverse group of funders into the mix and it becomes even more daunting. Given the deepening concern—and increasing activism—sparked by the recent change of administration in the U.S., that may be changing. Wherever you stand on the issues, it is hard to ignore the dramatic upswing in advocacy activity since the election. Some of it involves collaboratives successfully bringing together funders to advance important issues through public policy campaigns, communications, research, and strategic grantmaking. And they are getting results, despite the obstacles in their way. If we are to overcome the inevitable concerns about joining an advocacy collaborative and understand what makes them successful, we need to ask: What distinguishes an advocacy collaborative from other kinds of collaboratives? Click here to read more about what we heard. Seven years after a hot mic caught Joe Biden’s colorful take on President Obama’s signing of the Affordable Care Act (ACA) into law, the ACA is in peril and the implications for health funders can’t be ignored. The passage of the ACA was indeed a historic moment in the decades-long effort to improve our seemingly intractable health care problems. But in an era of hyper-partisanship, the legislative “win” was just the start of a long fight that seems far from over. The new law remained vulnerable to oppositional efforts in the years since, despite surviving a Supreme Court case and more than 60 attempts to repeal some or all of its provisions. Those oppositional efforts have reached a crescendo in recent weeks, as the new president and his allies in Congress push for passage of the American Health Care Act as a means to undo much of what the ACA aimed to achieve. Recent news reports highlight that while some foundations are doubling down on advocacy support around an ACA defense, others are questioning how or even if they should get back involved in that kind of policy fight. This is not a new challenge for foundations. However, it does illustrate how funders sometimes view policy fights on a finite timeline and concentrate solely on the win, when in fact the win is just one point along the ongoing political process in which those fights take shape. That reality is why funders that engage in advocacy and policy work can’t just aim for the win, they also have to prepare for and shift to how that win plays out in its implementation. Last September, as part of the Atlas Learning Project, journalist Michael Booth penned a Health Affairs article that wrestled with some of these same questions. Key funders and advocates were asked what they would do differently to support advocacy efforts beyond a legislative win if they knew then what they know now. Though these conversations happened prior to the 2016 election, the insights still shed some light on the episodic and often temporary relationship that many funders have with policy battles like the ACA. For progressive health funders, defending the ACA and defeating its demise could amount to exactly the kind of lasting change that so many foundations seek. As some funders ask themselves whether they should get back into supporting advocacy efforts around the ACA, a better question might be this: should they have ever gotten out in the first place? Check out Michael Booth's piece in Health Affairs here: Could Foundations Have Mounted a Better Defense of the ACA? Considering starting a 501c4? Learn from those who've already done it. Deciding whether—or when—to establish a 501(c)(4) organization is never an easy decision. Questions about purpose, scope, funding, perception, timing, and legal compliance all come into play. There are few definitive “right” and “wrong” answers. Each group needs to determine what is right for it. Since private foundations are much more limited in their ability to fund (c)(4)s, activists looking to start a (c)(4) should consider alternative funding sources, such as individuals, labor unions, or corporations. In the Strategy and Discussion Guide, Alliance for Justice explored the questions to ask. Here, AfJ describes how three different groups, with different structures, needs, and pressures, answered the questions for themselves. For many foundations, collaboration is key to advocating for policy and practice change. But these kinds of partnerships can be challenging to execute well. “Sticking points”, like conflicts over decision-making power or competition for resources, can derail advocacy-focused efforts and make even the most earnest collaborator wary. Given the current conversation around philanthropy’s role in funding advocacy and social change movements, working through these “sticking points” may prove to be more important than ever. This collection brings together 40+ reports and reflection pieces about multi-party advocacy efforts; providing valuable perspective on both the sticking points and how we might move through them. The collection is a complement to resources on the same topic from our sister site, GrantCraft. The project is a partnership between Foundation Center and the Atlas Learning Project, a project of the Center for Evaluation Innovation, with support from the Atlantic Philanthropies. In a segment earlier this year on her show Full Frontal, Samantha Bee raised an important lesson for foundations about the consequences of half measures in their advocacy work. “I think that the day we thought that Roe [v. Wade] was an end point and not a beginning point for women’s empowerment, they started to chip away at our rights,” said Ilyse Hogue, President, NARAL Pro-Choice America, in an interview about legislative attacks on reproductive rights and resulting court cases. That interview aired this past February - 43 years and 1 month after Roe v. Wade was decided. This is not to suggest that the reproductive rights movement has not fought effectively to advance and protect progress. Rather, it illustrates the long arc of policy fights, the near-constant oppositional efforts, and the resulting need for funders and advocates to remain attentive and vigilant. Few policy wins are conclusive now, if they ever were at all. It’s rare that advocacy and policy work simply ends with the passage of a bill, a ballot initiative victory, or even a court ruling. There is seldom if ever a neat and tidy beginning, middle, and end. Advocates and funders often experience these long arcs of policy engagement differently. Advocates, in it for the long haul by virtue of their organizational missions, must negotiate both short-term fluctuations and long-term shifts, windows of opportunity that open and close, threats that emerge and subside, and tension between tactical policy wins and the longer view of “moving toward victory over time.” They are always piecing together the resources, capacities, relationships, and strategies it will take to stay in the game and keep policy progress going. But funders have the luxury of setting discrete goals and timeframes for their advocacy engagement, after which they can pull out and turn to new goals and strategies with a new set of partners and grantees. They can – and often do – choose between funding policy campaigns to achieve a particular policy goal or investingin advocacy capacity building ... as though advocacy capacity and policy goals can be untangled. The consequence? Grantmakers who fund policy campaigns without simultaneously considering how their funding choices affect long-term advocacy capacity risk leaving policy wins vulnerable and defenseless to oppositional interests, or leaving a field of advocates no better prepared for the next policy battles. Funders who invest in advocacy capacity without linking it to specific policy targets risk pulling advocates’ attention from their own pressing policy goals and never seeing new capacities materialize into policy progress. To explore funder mindset and grantmaking approaches that are supportive of the “long arc” of policy work, as part of the Atlas Learning Project, The Atlantic Philanthropies commissioned the Center for Evaluation Innovation to research the experiences of funders and advocates who have found themselves caught in the tension between policy campaigns versus advocacy capacity. The resulting brief – No More Half Measures - reinforces the sense that funders, no matter their size or their appetite for long term funding commitments, have to get better at designing grantmaking strategies that meet the dual demands of advocacy capacity needs and the realities of the policy and political landscape. Doing otherwise means funders are likely limiting their own effectiveness as well as the ability of advocates they support. Download the complete brief here to see the findings and learn more. Talk of charitable organizations and the federal tax code has dominated portions of the presidential election up to this point, and rightly so. However, it's also shed further light on misinformation and misunderstandings about nonprofit organizations and charitable work itself. This isn't limited to outside observers of nonprofit and philanthropy work, rather it persists with those who work at nonprofits and foundations themselves, particularly as it pertains to policy and advocacy work. In many ways, this is understandable. As Alliance for Justice highlights in a new primer for how 501c4 organizations can be used for good, "There are more than 35 different types of nonprofit organizations in the United States that have been granted special status under the Internal Revenue Code." This stuff gets real complex, real quick. Which is why we're excited to share this new resource. “Primer on Social Welfare Organizations: Using 501(c)(4) Organizations for Good" is a handy, comprehensive resource that addresses concerns of nonprofits and funders alike: how to take advantage of the unique capabilities of 501(c)(4) social welfare organizations to drive positive social and political change. The new primer can be downloaded here. It covers the big questions that advocates and funders ask, including how 501(c)(4)s are unique, what kinds of activities they can undertake, who donates to them, and what rules govern donor disclosure. Brief descriptions of real-world examples help illustrate how (c)(4)s have played key roles in advancing causes such as marriage equality and immigration reform. Could Foundations Have Mounted A Better Defense of the ACA? It came sometime after the “You lie!” outburst and the false claims of “death panels,” but before two potentially fatal US Supreme Court decisions and sixty-seven consecutive votes to repeal in the US House of Representatives. In hindsight, President Obama’s signing of the Affordable Care Act (ACA) on March 23, 2010, was not the cheerful ending point that some might have expected. Rather, the ACA debate would play on long after, a center-stage feature for toxic partisanship that had begun years earlier. What advocates and opponents alike called the most significant revolution in the American health care system since 1965 still required an actual launch. Medicaid expansion, insurance marketplaces, health information technology (IT) infrastructure, computing power, state legislation, bug-free software, and marketing outreach were all key steps—and critical targets. Yet even as advocates and lawmakers were struggling to build their new craft, opponents kept busy trying to tear it apart. Given the ongoing vulnerability of the ACA, what could philanthropy have done differently to better support advocacy around implementation and help shore up this nascent law? The Atlantic Philanthropies sought to explore what supportive funders did to advance the ACA’s odds of success following enactment. We focused on a mix of national funders and those that worked in selected states, including the Robert Wood Johnson Foundation, Community Catalyst, the California Endowment and Atlantic Philanthropies itself. Had they prepared a plan for supporting the legislation after it was signed into law? Was there temptation to declare victory and move on to other issues? 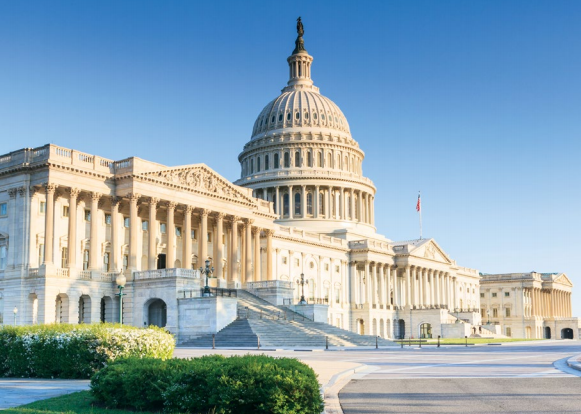 How should advocacy support have gone differently amid the hyperpartisan atmosphere that now surrounds health reform and other critical issues? Q: If you could travel via time machine back to a funding meeting in your organization in 2008, during the run-up to health reform, how would you drive home the need for ongoing advocacy even after health reform became law? The attack was so untethered from the facts that it caused a real circling of the wagons around the ACA among its supporters, and in a way that was more or less uncritical. There are challenges and limitations in the law, and no one wanted to acknowledge that because we didn’t want to add anything to the din of the attacks. One of the things we found is that with a lot of people, uncritical support of the ACA isn’t credible. If you target the middle of the electorate, you have to acknowledge where they are coming from. I mean, we’re thrilled that so many millions are on Medicaid and millions more are in the exchanges, but most Americans don’t get their coverage through ACA programs. And many Americans are paying a lot for their health care. We have to not just ‘Leave peoples’ health care alone,’ but deal with the expense. Rob Restuccia, Executive Director, Community Catalyst: We could have made the legislation better; there are things baked into the structure of the ACA that created implementation challenges. Some of that might have been fixed if there had ever been a House-Senate conference committee on the ACA, but there wasn’t. One example would be the timeline, which I think was adopted in some ways for technical reasons, to say, “Let’s start enrollment as soon as they’re ready instead of waiting for 2013.” Start having positive stories to tell about this sooner rather than later. The fact you couldn’t move meant there was a prolonged period when the ACA was just an abstraction. And allowing the communications strategy to be dominated by Americans for Prosperity, I’m not quite sure how we would have done it differently, but we were set back five years by that. Most of the things they said about the ACA were just total lies. How were we not prepared for that? Richard Figueroa, Director of Prevention and The Affordable Care Act, and Maricela Rodriguez, Program Manager, The California Endowment: For a thousand-page document, it was generally pretty well written. We would not have gone back to 2008 and said, “Make sure you have a good, functioning web site” – that wish was a given then, and is a given now. That’s a technological challenge, and not a challenge of writing the policy language. We would have told President Obama for sure to never say, “You can keep your own doctor.” That was never going to be the case, given market changes. Lori Grubstein, Program Officer, and Brent Thompson, Senior Communications Officer, Robert Wood Johnson Foundation: People were nervous, we’re putting so much money into this, what if it all unravels because of political contentiousness or the Supreme Court rulings? Many people believe the longer we have the ACA in place, the harder it will be to dismantle it, the benefits that millions and millions of people are now receiving. We would stress the need to understand what you’re in for, in the partisan rough and tumble. We did, but other funders should think that through and know what their stomach is for that kind of stuff, and how’d they react in certain situations. Staying focused on the work and the benefits of the policy outcome to the mission of the organization -- for us, it’s the health and health care of all Americans. We don’t really care about “the President’s precious law” or any phrases like that, we’re here to make sure Americans are covered. The institution has to be ready for that publicity, to be prepared for the possibility you’ll be called out, and some constituencies will not like what you’re doing and will take lots of shots at you. But that’s when it comes back to this: We’re not here to give the President victories or make the Democrats look good, we’re here to make sure people have help when they get sick. I think we were squarely within our mission at all times; but even then, there was a lot of soul searching for us: Is this too hot? Steve McConnell, former Country Director for US Programs, The Atlantic Philanthropies: Atlantic was not a health care foundation when this started, not in the U.S. We said, “It’s possible that with a sympathetic president, there’s a chance to do something that hasn’t been done for 100 years.” But it didn’t have a home at the foundation, it was tacked on. The message is to not avoid doing things that don’t have a home. It’s a shame not to be opportunistic when these things pop up. I’d tell them it’s really admirable we’re making this big bet on something that’s not clearly part of our program areas. So let’s set up a group of people not only focused on the legislation, but who will look at the things that will be needed if the legislation passed. The risk is it might have scared people away. “Gee, I thought $25 million would be enough and now you’re telling me we need $10 million or more for implementation.” We would not have been caught flatfooted. We could have done a better job being prepared for the implementation phase. Q: Did your organization discuss its potential role in advocacy for ACA implementation as the law was being shaped, and ultimately passed, by Congress? Should you have put more thought into how post-passage advocacy might play out? Steve McConnell: We should have planned more. “Let’s say we get lucky, what then?” It was a struggle getting resources to do this work. That’s the lesson from any of this work. In any legislation, there’s an implementation phase that goes on forever. You can get it passed today and they’ll try to take it away tomorrow -- the Republicans have voted to take away the ACA what, more than 60 times now? So whatever you are doing, there’s a short term set of things and then a longer term set of things that may be even more important. Passing the legislation is now looking like it was the easiest part. Lori Grubstein and Brent Thompson: When there seemed to be this open window for national health reform, of course we were very focused on that. Then when the ACA was enacted, we felt the most logical thing we could do was support implementation. Our goal was to make sure the ACA was implemented in a high-quality way. For us, that was making sure it was done in a very consumer-friendly way. We were mainly funding implementation at the state level. I think we put a good deal of time into planning, so I wouldn’t say we could have done a lot more. Richard Figueroa and Maricela Rodriguez: We knew from the beginning that enrollment was the hardest thing you can do. California does not have a good record on that in social services programs. Once the Medicaid expansion was signed into law, the California government had not wanted to spend any money to tell people about it; so we stepped in and put tens of millions of dollars into the state department in charge of enrollment. We basically became the state’s marketing arm. It’s very unusual for a foundation to directly write checks to government for these purposes, but it’s the most effective way to get the federal match, and the administration was not keen on spending their own money. Separately, we took on a very large-scale media campaign around the state. Q: What specific strategies do you believe were effective during the ACA implementation stage, and which were in retrospect not effective? For example, many pro-ACA groups believed that “storytelling” focused on personal anecdotes would build support and win over policy makers. The state had figured it might get 1.2 million people coming in through the expansion; we had set a stretch goal of 2 million people, trying to double what the state estimated. Well, we’re at 3.5 million and still going, so it way surpassed anything anybody could have imagined. When this process started we were at 8 million people in Medicaid, now we’re over 13 million, or about a third of all Californians are in our Medicaid programs. We’d like to think we played some role in making sure that information penetrated far enough in the community that people were willing to come in, to create buzz and a culture of coverage. The Spanish-language media operates differently than English-language media, which try to be in the middle and not have an opinion about things. Spanish-language media views themselves as part of the community. They can have an attitude and an opinion about things, and they were very strongly in favor of getting more coverage for folks. They really took it to heart and really made it their thing for at least a whole year. Sara Kay, former Health of Advocacy and Health Equity Programs, The Atlantic Philanthropies: I’d say we learned smarter storytelling. With all due respect to colleagues in communication, even in “Hillarycare” there was a lot of storytelling about uninsured people with sad, sad personal stories. We learned through research that what that did was trigger loss-aversion among middle class people who already had insurance. It didn’t make them more compassionate, it only made them very happy to not be uninsured. I do think we got much better at understanding what voters need to hear about is, what’s in it for me. And that’s a different kind of messaging. And it couldn’t be painted as a poverty program, even if in many cases that’s what it ended up being through Medicaid expansion. But if the messaging had become about “free-riders and poor people,” that would have been a killer on the messaging side. Q: Do you feel the deep partisanship for seven-plus years now has altered your organization’s view of funding other high-profile policy questions such as immigration? Lori Grubstein and Brent Thompson -- We were supporting coverage efforts since our founding in the 1970s; folks here were used to the contentiousness of this issue. This foundation was also a very significant player in the player in the health care policy debates of the mid-1990s, so we were intimately aware of the partisan nastiness that can go along with health care reform. We didn’t relish it, but it was not a surprise to us. It may influence specific tactical decisions but not the overall strategy. We are very cognizant that we maintain our reputation as being nonpartisan and try to rise above the politics. And we always have a very balanced portfolio of things we’re funding and try to make sure whatever we’re funding is mission-based, and that we’re trying a lot of different perspectives. Steve McConnell – That’s something I love about Atlantic: It has no fear. I went to the board at the end of 2012 and said it looks like we have an opportunity to work on immigration reform, and I’d like $10 million to invest in C4 efforts. And they said, fine. It was a worthwhile thing to do. Atlantic always had this notion it should make bold bets: The board really wanted us to make big bets, and the founder wanted us to make big bets, and not do “sprinkle” philanthropy. Sara Kay – Have we learned anything about dealing with people who are unconstrained by the truth? I don’t know that any of us were prepared for that. There’s another health funder I work with, a woman who works in a deep red state. She called and asked for help in thinking through some of her strategies a couple of years ago. She said, “You know, I used to fund advocacy, but now the advocates can’t even get in the door with their state elected officials. So then I started funding objective research, and now they don’t even care what the research says. So what do I fund?” It’s a very hard question that I don’t think is limited to health care. Some people say that maybe funding get-out-the-vote is your only hope. Rob Restuccia – We’ve created a C4 and strengthened our campaign capacity on that as a result; I’ve been doing this for 30 years and I used to tell people that we just had to tell the truth as a consumer advocate and you’ll win. That’s not true anymore. You have to be much more political, you have to be much more cognizant of the political dynamic, and you’re going to be fighting off opposition that is much better funded. Montana is an example. We funded advocates there to help fight Americans for Prosperity around Medicaid expansion. It was David vs. Goliath, and David won. We gave them not just money but support around strategy, and technical assistance. The governor of Montana ended up thanking us. Wehave really shifted in thinking to being much more aggressive on that spectrum of activities, from C4 to civic engagement, and be willing to challenge our opposition or support other organizations that challenge the opposition. Richard Figueroa and Maricela Rodriguez -- We’ve never been afraid to take on difficult challenges. We’re lucky to have a supportive board, and lucky to have the resources to do this work. We said at the beginning, if we don’t exist to do these things, then why do we exist? We were the only foundation in the country that actually filed an amicus brief with the Supreme Court in favor of the ACA. We didn’t really have a Plan B. We assumed they would do the right thing, and we were go-go-go the whole time. It’s pretty difficult for a state to go alone and fund these things, especially with such a large group of Medicaid eligible. We did put all our eggs in one basket, knowing that this was the largest change we were going to see in the health care coverage system in our lifetimes. Who knows when we’re going to see the next one? In fact our success on the Medicaid side has continued to fuel our interest in Health for All, which is very controversial, but it is working to get everybody covered. Heck, we’re going for covering the undocumented, and there’s nothing more controversial than that. Although foundations had remarkably varied experiences in their advocacy support of the ACA, the lessons for the wider philanthropic community are clear: when complex political and social issues like health reform are caught up in partisan battles, the need for advocacy support persists well beyond a policy win. Whether in health care (or in looming and ongoing debates about climate change or immigration reform), a hyperpartisan environment leaves little separation between advocating and implementing. That’s because political fights don’t really have a beginning and end anymore, and neither do most policy debates. For foundations, this leaves a sometimes tricky playing field, where debate is not always tied to facts and where policy change is not always secure. But foundations can prepare and provide advocacy support accordingly, by keeping advocacy investments and funding goals closely tied, by bringing their boards along as stalwart allies, and, when initial success occurs, looking to expand support rather than retrenching or retreating. Getting to the win is often not the end, but rather the start of the next push forward. This article was commissioned by the Center for Evaluation Innovation, as part of the Atlas Learning Project, with support from The Atlantic Philanthropies. It was originally published on Health Affairs GrantWatch Blog. Michael Booth is a researcher, writer and consultant in health care and nonprofits, after a 25-year career as a health care journalist with The Denver Post. He is co-author of the 2015 Colorado Book Award for Nonfiction, "Eating Dangerously: Why the Government Can't Keep Your Food Safe . . . and How You Can." For more than a century, some of the most important social and policy change efforts have come about, at least in part, because of engagement in and support for legal advocacy strategies. As part of the Atlas Learning Project, TCC Group released a series of briefs that explore questions about how funders and advocates might consider supporting or engaging in legal advocacy efforts in their own work. Drawing on the experiences and insights of The Atlantic Philanthropies and other funders, the series of briefs aims to help inform foundations, advocates, and evaluators in their work and push the field forward in its thinking and practice. You can find all three briefs, a video, and additional resources here. Over the last year, TCC Group has been conducting a field review into the world of legal advocacy in the nonprofit sector. Partnering with the Center for Evaluation Innovation and the Atlantic Philanthropies as part of the Atlas Learning Project, which aims to push advocacy in bolder and more effective directions, TCC Group has been examining how advocacy organizations use legal advocacy as a strategy and how funders can best support that work. We are excited to share the results of TCC Group's work to help inform funders, legal advocates, non-legal advocates, and evaluators about the field of legal advocacy. Legal advocacy – also known as advocacy through the courts – uses the judicial system to advance social change goals. This is often done through bringing forward a legal case in court that focuses on improving a situation for a particular group of disadvantaged people. We invite you to watch the short video to get a better understanding of what legal advocacy is and why it’s important. As well, we encourage you to visit TCC Group's legal advocacy page to learn more, access new legal advocacy guides for funders and advocates, and sign up to receive new reports on the context of the modern legal system and status of courts. The content of this post was made available courtesy of TCC Group. The Win is Just the Beginning: New brief from ORS Impact on how advocacy can go beyond the win. The following post is courtesy of ORS Impact. When it comes to policy, most attention is focused on “the win.” But—as so many advocates know—“the win” is just the beginning. Once a policy has been “won,” it moves to the policy implementation phase, where there are innumerable new decisions to make as well as new players, obstacles, and challenges. During this phase, advocates have a ripe opportunity to shore up advantages and mitigate against new potential threats. Beyond the Win: Pathways for Policy Implementation explores strategies and tactics that advocates can deploy to navigate and shape this complex environment—and get the outcomes they are looking for. To begin strategizing, the brief first explores three unique types of advocacy activities where advocates can have impact during the policy implementation stage—administrative advocacy to influence rulemaking within an agency; implementation advocacy to influence activities like granting and contracting, development of advisory boards, monitoring processes; and ongoing capacity maintenance to maintain relationships with stakeholders. The brief then explores three frameworks and theories to inform the strategies advocates can take across the types of implementation advocacy. · Understanding Bureaucracy outlines the unique contexts, motivations, and incentives in bureaucratic organizations to inform strategies for engaging with government agencies and their actors. · Understanding Policy Implementation examines the levels of conflict and ambiguity characterizing a policy context to strategize about taking a top-down, bottom-up, or hybrid approach to policy implementation. · Understanding Theories of Democracy explores how and when to most effectively engage and mobilize the public in implementation advocacy efforts. Beyond the Win provides an important contribution to advocates, funders, and evaluators in the less-frequently theorized arena of policy implementation. Not only does the brief provide advocates with a framework for strategy—but it offers a common language for other key stakeholders like funders and evaluators to communicate about and measure the work to assess progress and support course corrections. For more information or to download the full brief, visit orsimpact.com. When it comes to policy, a lot of attention is given to “the win.” Whether it is something new and big like the Affordable Care Act, a piece of legislation in a large federal omnibus bill, or inclusion of critical language in a state policy, seeing the fruits of advocacy efforts put into law makes advocates and champions feel that their hard work, often many years in the making, has paid off. But, in reality, “the win” is just the beginning—a necessary first step in a much longer and equally as fraught process of policy implementation. Once a policy is created, there are numerous factors that shape and determine how that policy is implemented—and ultimately, the impact it will have—regardless of how well the policy is formulated. Some of these factors include rulemaking, funding, capacity of local implementing agencies, and fights to repeal or modify wins, among many others. Interestingly, while the role of advocacy in agenda setting, policy formulation, and policy adoption has been widely explored, the role of advocacy in the policy implementation process is far less well understood. Read more about Beyond the Win: Pathways to Policy Implementation. Today as part of a White House convening on rethinking school discipline, Atlantic Philanthropies released a new report - Tilling the Field: Lessons on Philanthropy's Role in School Discipline Reform - about key lessons that have emerged from the collective efforts to reform school discipline policies and practices. Atlantic's Kavitha Mediratta highlighted the report during her moderation of a panel on collective impact. The report was authored by Leila Feister, and commissioned by Atlantic as part of the Atlas Learning Project. As Leila writes, "Anyone concerned about how the futures of millions of children are jeopardized because of discipline practices that unfairly exclude students from U.S. public schools will be heartened by this story about how transformative change can happen. It’s a story of how students and parents, civil rights advocates, academics, policymakers and government came together – with help from philanthropy – to advance reform." Tilling the Field explores a four-year, $47 million school discipline reform initiative that Atlantic launched in 2010 to promote policies and practices that would keep vulnerable children in school, rather than on the path to prison. The report offers lessons for funders, grantees, government partners, and those interested in building movements. Learn more here, and read the full report here. The Center for Evaluation Innovation is excited to announce the Atlas Learning Project, a three-year effort supported by The Atlantic Philanthropies to synthesize and strategically communicate lessons from the advocacy and policy change efforts that Atlantic and other funders have supported in the U.S.
Philanthropic support for advocacy is evolving. More foundations are supporting action-oriented and adaptive efforts that put them and their grantees at the heart of high-profile policy change efforts. At the same time, some funders remain steadfastly risk-averse in their advocacy funding, choosing to support the same tactics and strategies time after time. As this ultimately may restrict their effectiveness, we think there is a lot to learn from funders that have pursued bold approaches to policy change and its implementation. The Atlantic Philanthropies occupies a unique space in the field of philanthropy, not only as the largest foundation in history to conclude grantmaking within its donor’s lifetime, but also as a funder that has made “big bets” using aggressive advocacy approaches on some of the most complex policy challenges in health care, immigration, education, criminal justice, and economic security. When is it valuable to engage or support 501(c)(4) organizations in policy change efforts to advance the public interest, and what are the implications for funders? What have we learned about how to effectively fund strategic litigation? How can funders more effectively support both policy change efforts and lasting advocacy capacity? What have we learned about funding collaborative multi-party campaigns? How can funders effectively prepare for implementation? We are partnering with many experts in advocacy and evaluation to produce a variety of products, events, and other resources that respond to these questions. Products will be relevant to funders, advocates, and evaluators. We will highlight what has and has not worked, and draw on lessons and insights from funder and grantee experiences. Stay tuned for more to come! Sign up to get Atlas products as they are released. If you would like to learn more about the Atlas Learning Project, participate in the research, or share ideas about related efforts, please contact Scott Downes at sdownes@evaluationinnovation.org.